These two sides can be downloaded here, if you like. 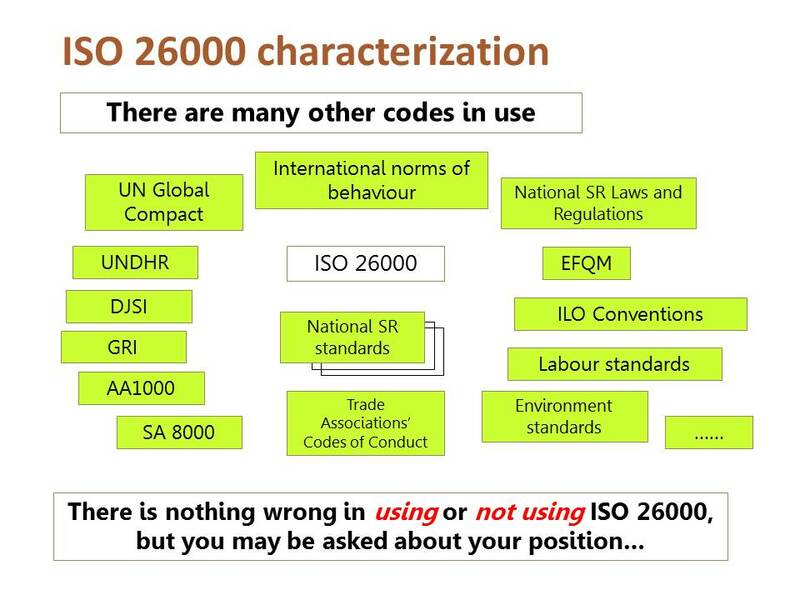 The document on strengths and weaknesses of ISO 26000 was developed for the author’s participation in the European Commission's workshop on "Better CSR advice for European SMEs" in June 2012 in Berlin, was further developed and briefly discussed in the ISG (industry stakeholder group) and amended according to the colleagues’ suggestions. 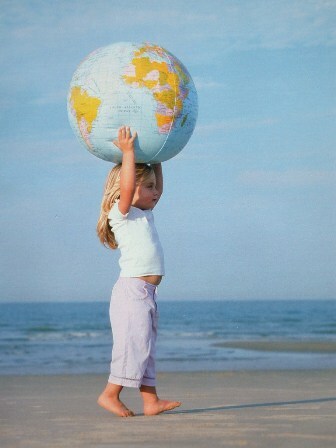 French (Word and PDF). Many thanks to Olivier Dubigeon in France for having translated the English text into French. 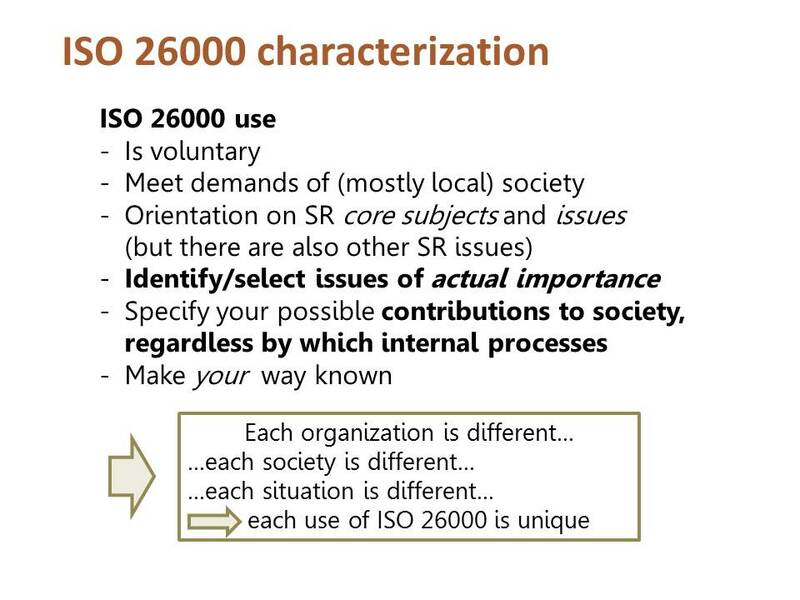 What ISO 26000 is not?